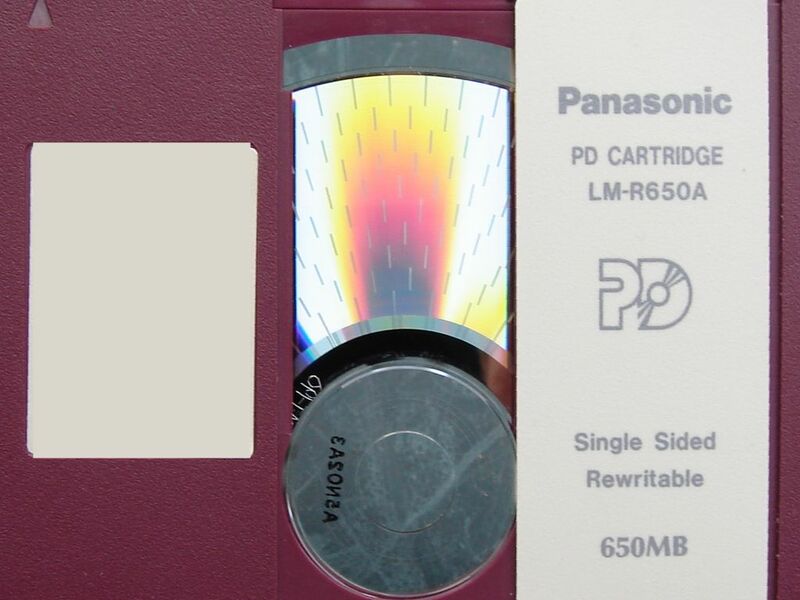 PD cartridge by panasonic lm-r650a in for file transfer. The 650MB was used ages ago but the client had long since disposed of the drive. The PD Cartridge drives are no longer made so we transferred the data to CD. We can also save the files to USB. If you need a pd cartridge by panasonic lm-r650a in for file transfer service, then contact our friendly company. PD cartridge by panasonic lm-r650a in for file transfer. The 650MB was used ages ago but the client had long since disposed of the drive. The PD Cartridge drives are no longer made so we transferred the data to CD. We can also save the files to USB..